Hartley’s Creek was named after Robert Hartley, the Sub-Collector of Customs, in 1882 by the legendary, and infamous, explorer Christie Palmerston, who found it while searching for a route to the Herberton tin mines from the coast.In December 1933 the Cook Highway connecting Cairns and Mossman was officially opened at Hartley’s Creek. One of the workers, Herb (Pop) Evans and his wife Mabel opened a wayside teahouse which was "a delight to travellers between Cairns and Mossman". 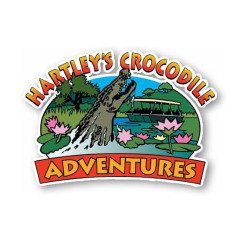 They called it the Halfway House, which eventually became the Hartley’s Creek Zoo, the Hartley’s Creek Crocodile Farm and, finally, after relocation, Hartley’s Crocodile Adventures. 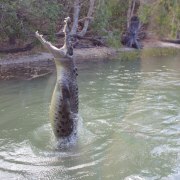 Hartley’s was the first place in Australia to breed crocs in captivity and is simply the best place to see crocodiles and local wildlife in Tropical North Queensland. Featuring over 2100 metres of timber boardwalks and pathways leading you on a journey of discovery through woodlands and rainforest. 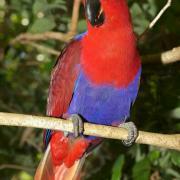 View beautiful tropical birds, reptiles, insects and other native fauna.Take a boat cruise on Hartley’s Lagoon to see crocodiles and learn about sustainable use and conservation on our Crocodile Farm tour.